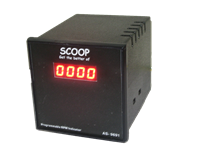 RPM (Rotation Per Minute) indicators are normally designed to measure rotational Speed from 0.1 to 9999 RPM. (Special Case up to 99999 RPM). 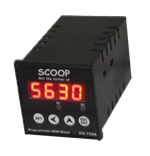 These Micro Controller based instruments have been designed to Provide industry with Accurate, Reliable, Compact, Versatile tools for various control application. 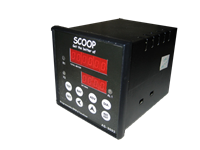 These units are designed to accurately measure rotational speed. 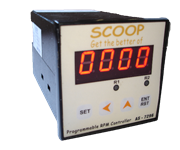 Crystal Controlled Oscillator generates time base or Micro Controller software calculates the RPM. It will indicate on only the no. of rotation per minute. Using it we can control the rotation per minute. In this we are giving 4-20mA and 0-10V as input. Here we set the display for desired value of input. 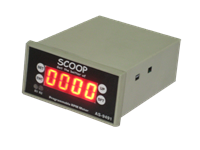 RPM & Totaliser measure RPM as well as it Totalise the Length as per feed Diameter.